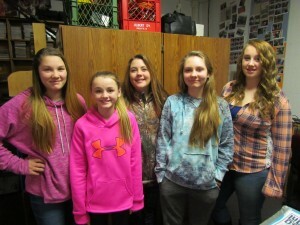 Shown (l-r) Mary Farias, Lexi Hill, Destiny Pestka, Grace Welling, and Dominique Hamm (missing from photo – Kinsey Picotte). Once upon a time, the WOAS-FM day-shift was populated by students who were seeking an escape from study hall. Times change and the demands of the OASD academic classes on a much small teaching staff have reduced the number of study hall periods dramatically. 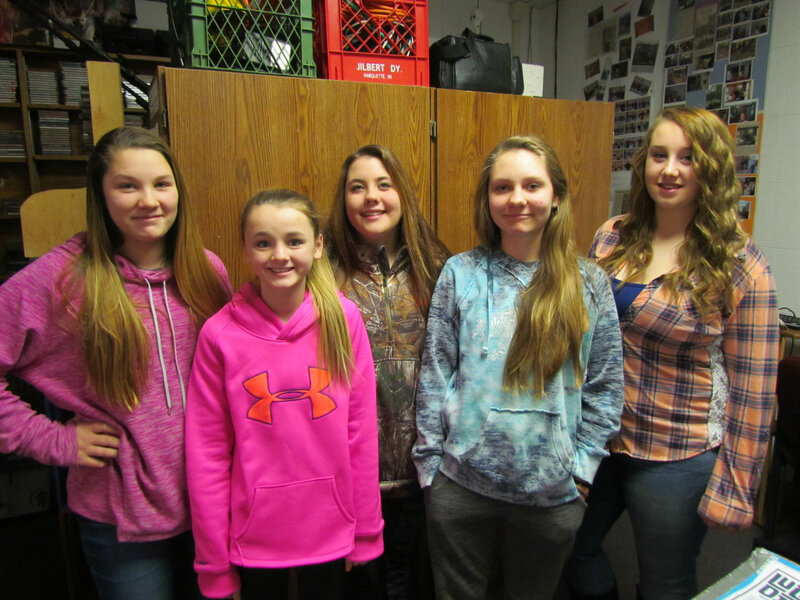 One of the few study halls left happens to be second hour so it only seemed natural to give students in that hour an opportunity to get their feet wet with WOAS-FM. There was enough interest from this group of eighth grade students that we had to set up a rotating schedule to accommodate all of them. The rotation has each student in the lab for two days in a row – one day as the ‘boss’ and one day as the ‘assistant’. This allows them to work with a different partner each day and learn the ropes of all the little jobs that need to be done on a daily basis. Tune in to YOUR SOUND CHOICE WOAS-FM 88.5 from 9 AM to 10 AM daily and check out our rotating cast of characters on the show they simply call RADIO JAM. It is a pretty sure bet that Green Day may be played as it seems to be one of the ‘have to play’ bands that they second hour crew shares in common.